Sarah Michelle Gellar—best known for portraying the lead in “Buffy the Vampire Slayer”—and Freddie Prinze Jr.—the director for World Wresting Entertainment—have sold their gated Bel Air estate for $4.9 million, having originally listed it for $5.4 million back in March. Despite the slight dip in their asking price, the Hollywood power couple still managed to churn out a nice profit, given that they bought the home in 2001 for only $2.45 million. Comprised of five bedrooms and four-and-a-half baths, the 7,620-square-foot home showcases a gym, an office, and a sun room, along with a marble fireplace surround and a spacious kitchen. 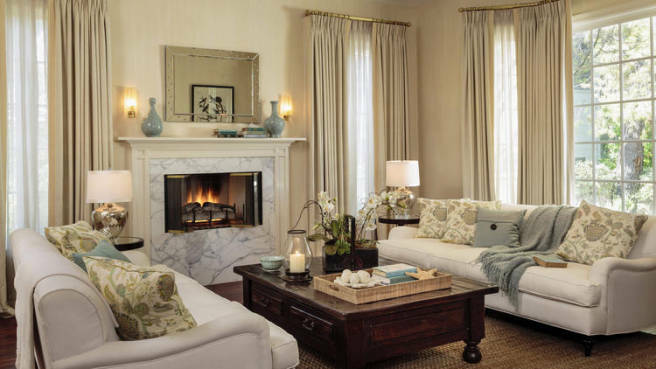 Both the residence’s living room and master suite boast fireplaces. In addition, a swimming pool, spa, and barbeque station sit on the property’s nearly half-an-acre lot.